This how-to does not include all necessary steps and procedures. 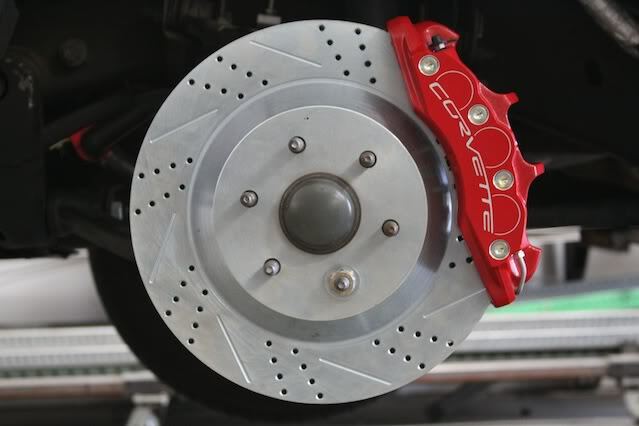 I wrote this to help show anyone interested, the basic steps to convert a 2005 Silverado SS stock brake system to use C6 Corvette Z06 brakes with Baer rotors using the brackets I produce. Your particular application may be slightly different. 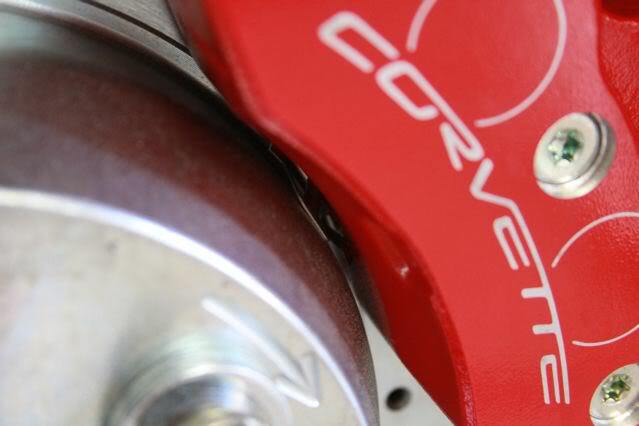 It is your responsibility to check the torque specifications. I will not be held responsible for anything that you do to your vehicle or any occurrence as a result of you performing this modification. Adapter brackets produced by others will require a different procedure. Step 2: Unclip the ABS wire from the hose bracket at the top of the spindle. Then unbolt the bracket. Step 3: Remove the two bolts that mount the caliper assembly to the spindle. 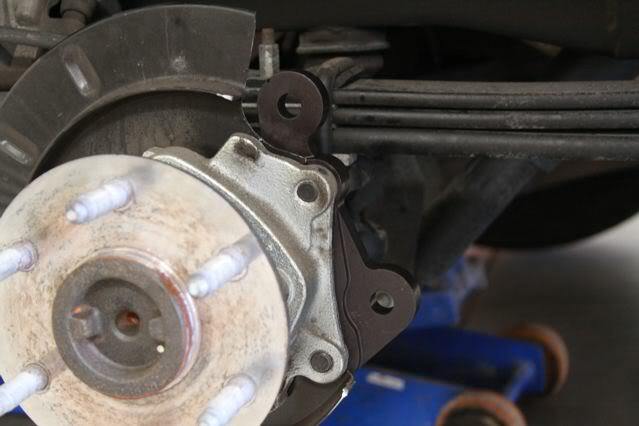 After the bolts are removed, place the caliper assembly on top of the upper control arm. Step 4: Remove the stock disk. Step 5: Using the supplied 14 mm x 70 mm bolts,, mock up the adapter bracket to the spindle. Make sure the adapter bracket is sitting flat against the spindle. If there is excess casing material around the caliper mounting surface of the spindle simply remove it with a hand grinder until the bracket sits flat. Do not grind the adapter bracket. When the bracket sits flat install the bracket using the supplied 14mm x 70mm bolts, 14mm washers and locking nuts. Torque to 133 lb.-ft. When installed correctly, it should look like. Step 6: Mock up your rotor, making sure you have the correct rotor for that side. (Note the arrow on your rotor showing direction of rotation) Place a few 1/2" washers on a couple of the studs and thread on the lug nuts to help hold the rotor in place. Step 7: Mock the Z06 caliper on the adapter bracket using the 14mm x 65mm bolts and check for clearance between the rotor hat and pad retaining clips. If there is any rubbing simply bend the clips as needed. When done correctly it should look like this. When proper clearance is achieved install the pad in the caliper and then mount the caliper using the 14mm x 65mm bolts and 14mm washers. Be sure to install the calipers with the bleed screws at the top of the top. If you Install the left caliper on the right side the bleed screw will be on the bottom and you cannot properly bleed the brake system. 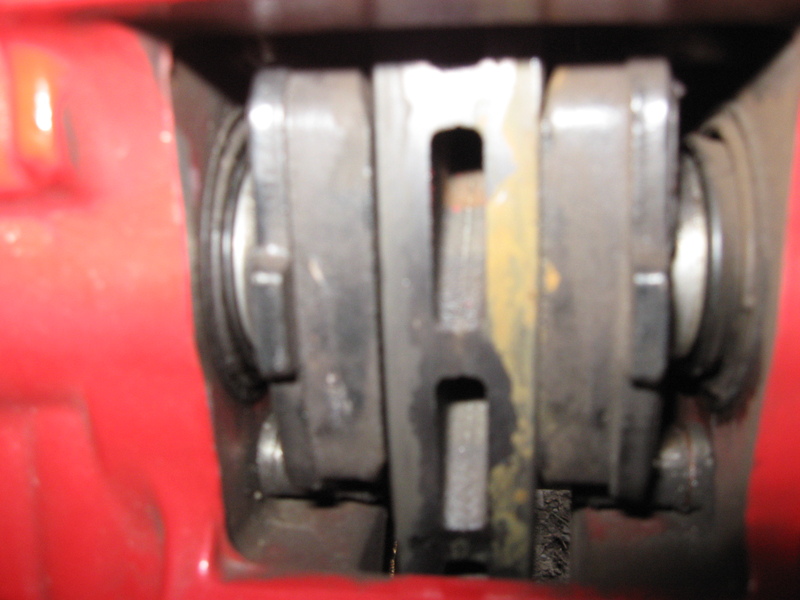 Apply a small amount of Loctite 2422 or similar thread locking compound and torque to 129lb-ft. When installed correctly it should look like the pictures below. Step 8: Connect the brake line using a Z06 Corvette banjo bolt and crush washers. The factory torque spec for the banjo bolt is 33 lb-ft.
After bleeding your brakes I recommend having a qualified shop re-bleed your system with a Tech II. Remember that when bleeding a caliper with dual bleed screws to bleed the inboard section first then the outboard section second. 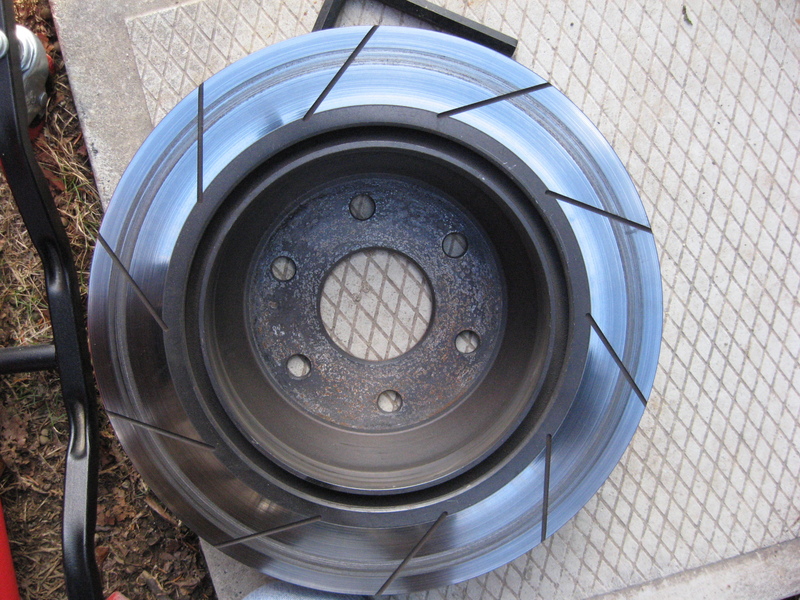 Also be sure to properly season your rotors and bed your pads properly. 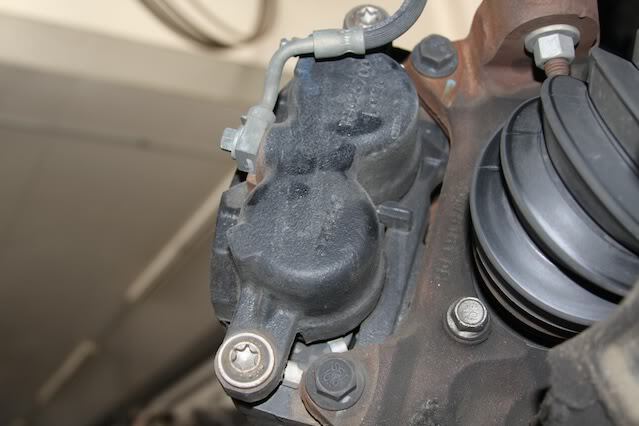 Baer Brake Systems has some really good info on seasoning here and pad bedding here. Step 1: Remove your wheel. Step 2: Remove the bolts holding the caliper-mounting bracket to the axle and set the whole assembly to the side. 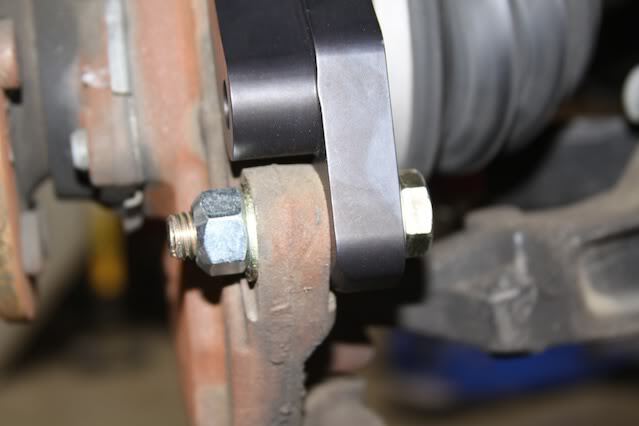 There is enough slack in the line that you should be able to set it on your leaf springs. Step 3: Remove the two emergency brake retaining brackets pictured below. The emergency brake shoe doesn't need to be removed completely, but I found it easier to work on everything with it off. Step 4: At this point you have options. You can remove the dust shield completely or trim it to fit the bracket. There is more than one way to remove the dust shield but I will not cover them. If you decide to remove the dust shield, remove it however you decide and move on to step 5. If you decide to trim the dust shield then continue with step 4. 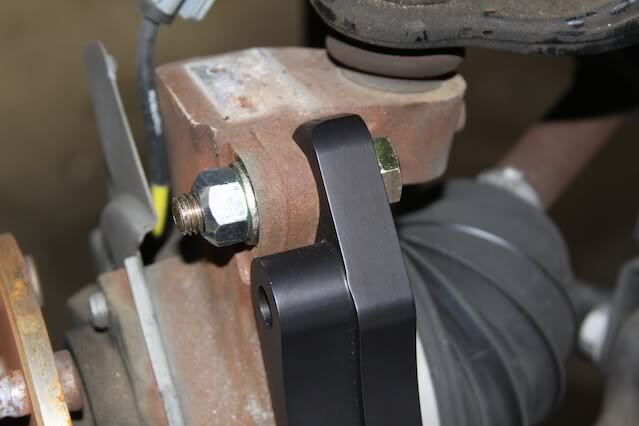 Mock up the adapter bracket as shown in the picture with the factory caliper-mounting bolts. Finger-tighten the bolts. Mocking this up shows you where the dust shield needs to be trimmed. I've found that lining up the holes on a 1 3/4" socket and the adapter bracket and tracing the outside works well as a template for the clearance needed. Be sure to remove the adapter bracket while trimming the dust shield to prevent damaging the bracket. Remove a little material at time as needed until you have something that looks similar to the picture below. When you have most of the material removed you can mock up the caliper to check for clearance. Step 5: Mock up your rotor, making sure you have the correct rotor for that side. (Note the arrow on your rotor showing direction of rotation) Place a few 1/2" washers on a couple of the axle studs and thread on the lug nuts to help hold the rotor in place. Mock up the caliper with brake pads and check for any clearance issues. 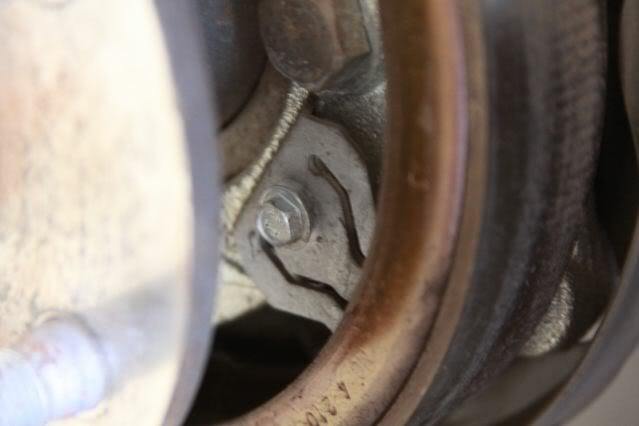 Should you need to shim the caliper to center it over the rotor be sure to use a quality stainless shim washer to prevent rust and be sure it is as close to the size of the caliper mounting surface as possible. 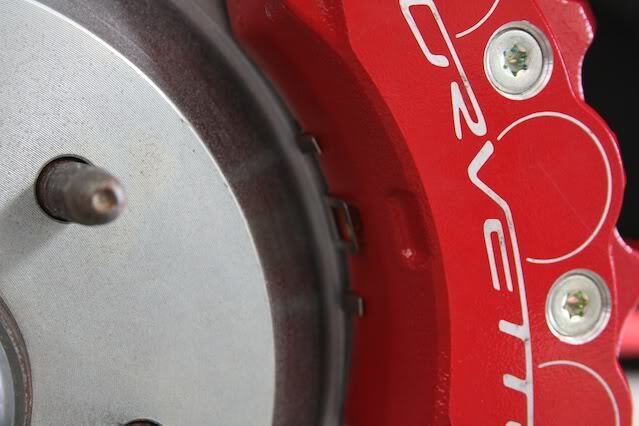 Most calipers will have a retaining clip that rubs on the rotor hat. 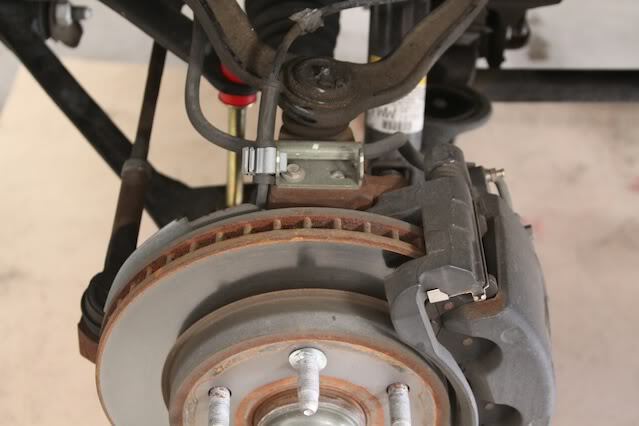 The outside brake pad retaining clip simply needs to be bent in slightly to prevent rubbing. When done properly, it should look like this. Step 6: Remove the caliper, rotor and caliper adapter. 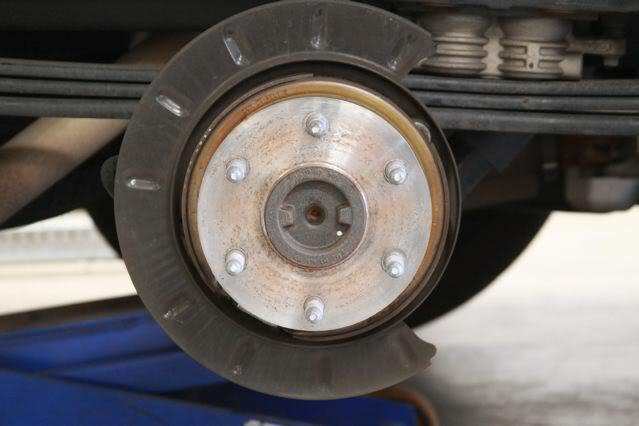 Clean up any sharp edges from cutting the dust shield and remove any debris that may have accumulated in the brake assembly while working. I suggest using quality paint on any bare metal exposed from trimming the dust shield. Step 7: Reinstall the emergency brake shoe and retaining clips. The screws appear to have locking compound on from the factory them so I put a tiny drop of Loctite 242. Don't over tighten them. Axle code JC3/JC4 JC5/JH5 - 148 lb.-ft. 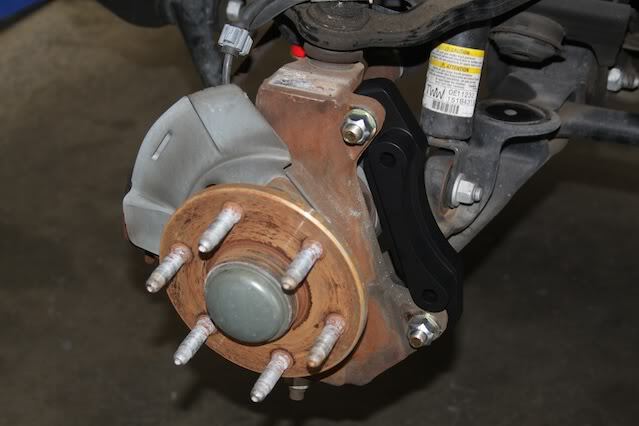 Perform the following procedure before installing the brake caliper bracket mounting bolts. A. Remove all traces of the original adhesive patch. B. 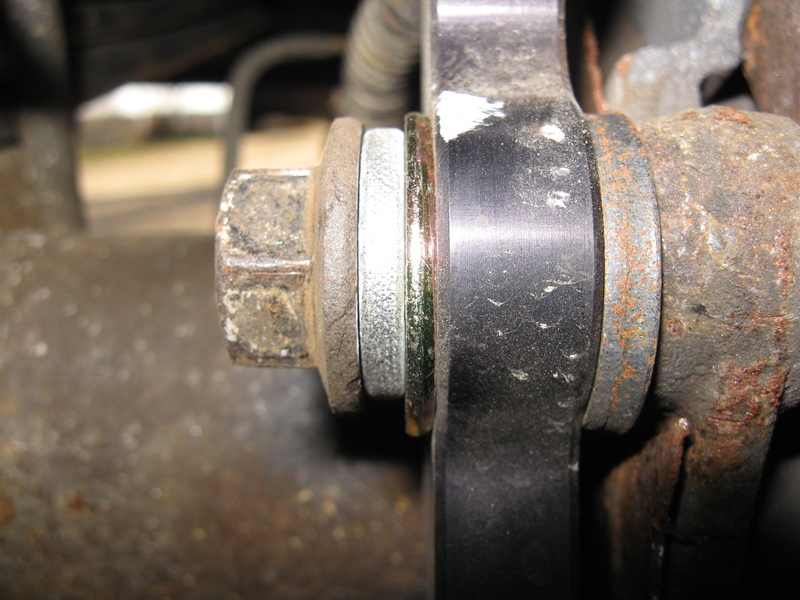 Clean the threads of the bolt with denatured alcohol or equivalent and allow to dry. C. Apply thread-locker to the threads of the bolt. Step 9: Install the rotor. Step 10: Connect the brake line using a Z06 Corvette banjo bolt and crush washers. The factory torque spec for the banjo bolt is 33 lb-ft. Next, install the brake pads in the caliper. Last, bolt the Z06 caliper on to adapter bracket. Be sure to install the calipers with the bleed screws at the top of the top. 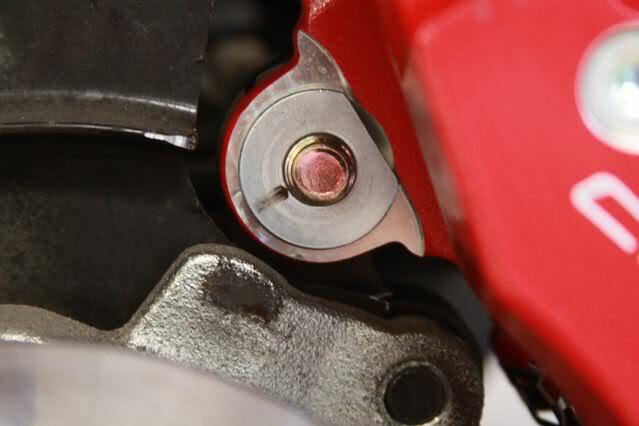 If you Install the left caliper on the right side the bleed screw will be on the bottom and you cannot properly bleed the brake system. The factory torque spec is 129 lb-ft. The factory caliper mounting bolts come with a locking compound on them so I use Loctite 2422 due to the high temperatures our brakes may see. When finished it should look like the pictures below. There are variances in all vehicles that I cannot control. Double and triple check clearances and ensure mating surfaces are clean, flat and free of debris. Re-check the torque values on all hardware after the first few heat cycles and then periodically after that. To my knowledge, nobody has had to, but some vehicles may need an after-market proportioning valve and/or modify the setting of the Electronic Brake Control Module to ensure safe and optimum braking. Please feel free to comment or ask if there is anything you don't understand, curious about, need more info, etc. I have been getting a lot of questions about the Baer rotor part numbers and people not being able to find them online. I have yet to find a distributor that advertises the rotors only. You will most likely only find the Eradispeed kit. 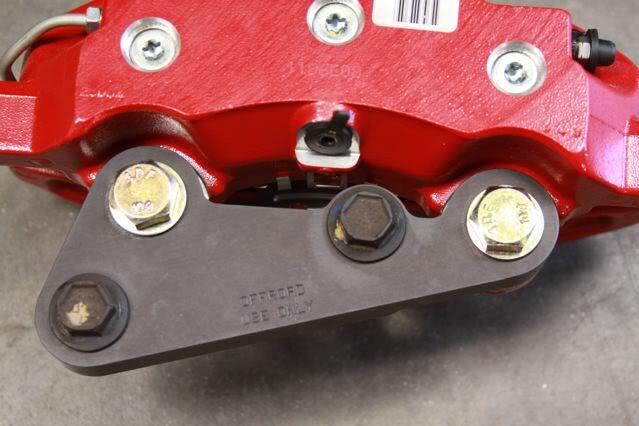 The normal Baer Eradispeed kit includes a relocation bracket to re-use the stock caliper. 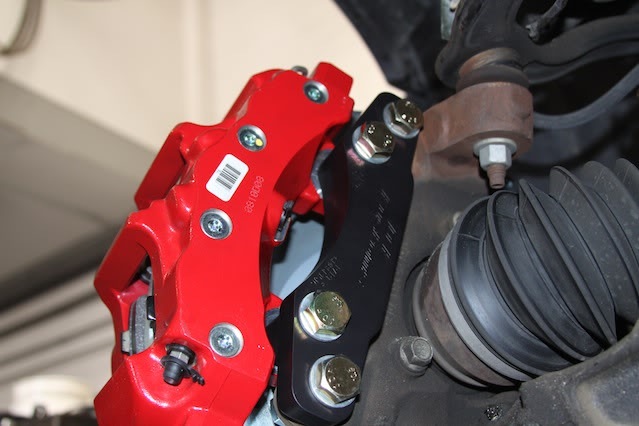 Since the Z06 conversion uses the Z06 caliper, there is no reason to pay the additional cost to include the Baer bracket since it won't be used. The part numbers listed for the conversion are for the same rotors that are part of standard Baer Eradispeed kit but without the Baer bracket. 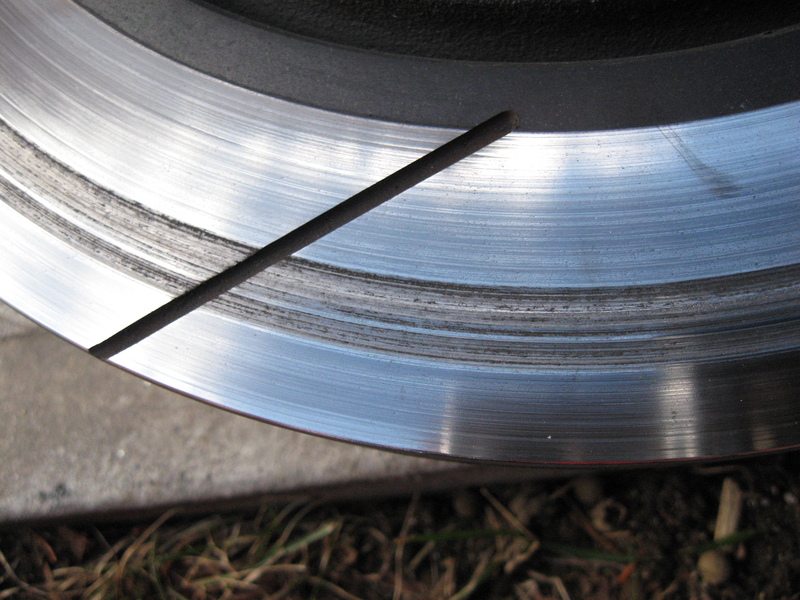 You will need to contact Baer directly or a Baer distributor for just the rotors. Last I checked the best price I found for the rotors was through Ray aka supersub on here. If I remember correctly, all four rotors were $1100 drop shipped to me straight from Baer. The price may have changed. Rays phone number is in his signature. It’s the best way to get a hold of him. Very nice! Pics are great an. Someday I might have to cash to do this. 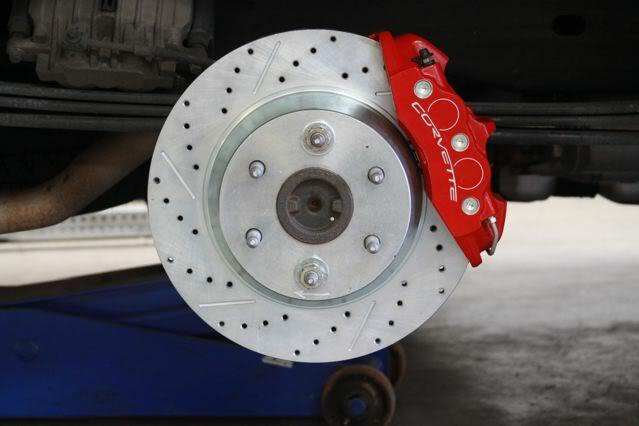 out of curiosity... how much does this awesome brake set up cost? For just the main parts (brackets with mounting hardware, rotors, calipers, banjo bolts and crush washers) you are looking at around $2500 for front and rear. Brake pads vary in price and you will need those. Upgrading to braided stainless lines would be a good choice to do at the same time as well. It also depends if you can find a really good deal on the calipers. I've seen some people get all four for $600. I figured about $1000 is the average new price. Supersub (Ray) on this forum is the guy to see for the rotors. Just pm him and let him know you are doing the conversion and he knows exactly what rotors you need. One of the things that first attracted me to this setup is that you can purchase the individual parts one a a time and piece it together. You don't have to come up with so much cash all at once. I know every time I'm saving up for a big purchase life throws a curve ball and I end up having to spend most of if not all my saved up money on something else. The one thing that you left out is that not each of these mounting brackets are the exact same. 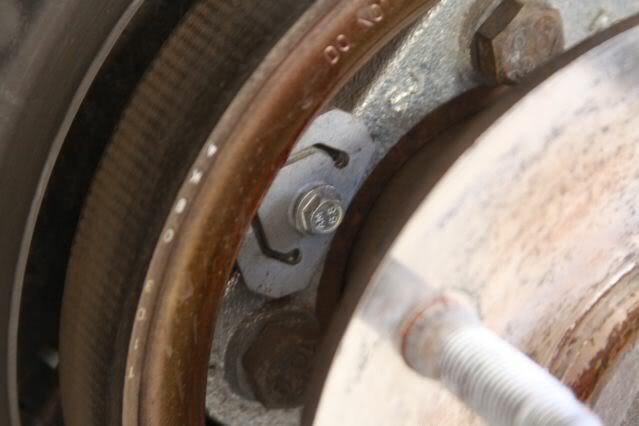 When you are mocking up for proper fit up, ensure that the caliper is centered over the disc. 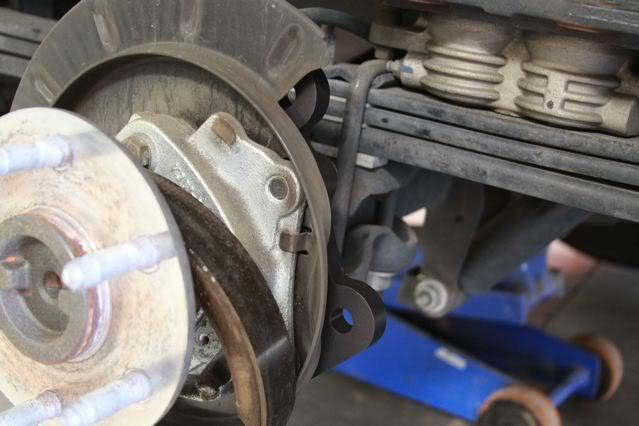 If they are not you will need to shim the brackets in order for the caliper to sit centered. You are going from a sliding caliper set-up to a fixed set-up. 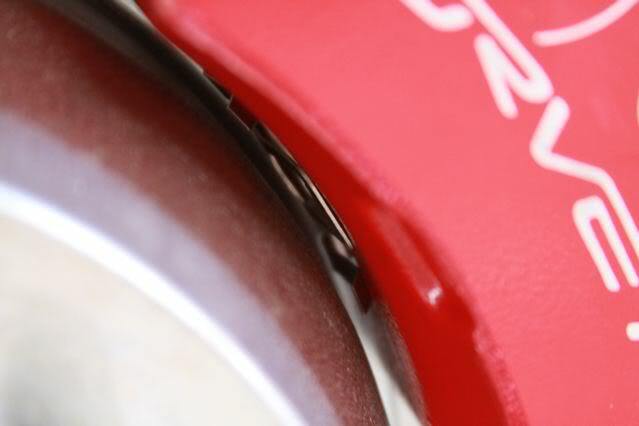 Not all brackets will have this issue, but if they are not properly centered, the guide pins will rub on the backside of the rotors and if not noticed, you will be buying new ones. Well I know all the brackets are all the same within a couple thousandths of an inch. They were all water jet cut and CNC'ed in fixtures so I'm fairly certain its not the brackets. I'm fairly certain that the rotors are the same and the brake calipers themselves have a machined mounting surfaces as well, which leads me to believe that the inaccuracies are most likely the axle assemblies/axle housing flanges. I know for the front spindles that there was a compromise between getting the caliper as close to the rotor hat yet leave enough room for tolerances between different spindles. That is why some have little or no pad overhang and others have a little more. Ray went through this as well when he was developing them. Good point about making sure the rotor is centered in the caliper, but it is not that crucial that the guide pins will rub. For the guide pins to rub the rotor, the caliper would have to be so far of center that there wouldn't be enough room for the pads to fit. In my experience I've had test vehicles where the drivers side rotor is centered within 1/16 of an inch while the passenger side is offset by 3/16 of an inch and there have been no issues. But you are right. I'll add to check that in the how-to. If anyone else can think of anything else I missed, is confused about or any other concerns, don't hesitate to ask. You did a great job on this write-up. I had done one myself about mounting Front/Rears set-up and issues/problems with each. The thread is no longer to be found ever since the Site Upgrade. 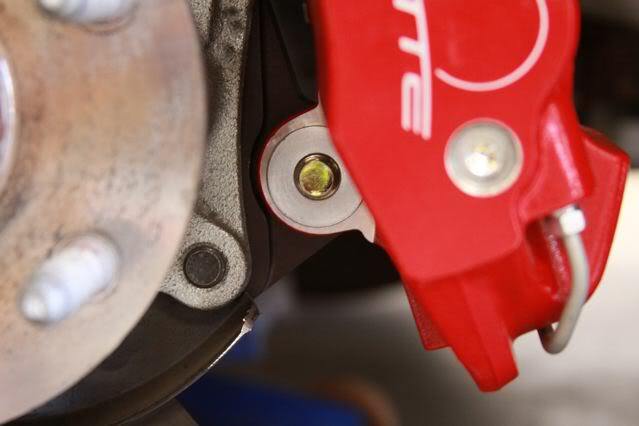 As soon as I can get onto my home PC I will post up a picture of my rear rotor and the groove the guide pins wore into it before I was aware that the calipers needed to be centered. Wow. I didn't think it was possibly to do. I'm assuming you used the JYD brackets not the ones I'm making. The brackets I make have an offset machined into them to center the caliper. How did you get the pads installed and still rub the pins? From what I've seen, the pads usually sit roughly about a 1/4" past the pins. Did you use new or used pads? Sorry to ask so many questions but I'd like to know exactly how it happened so I can try to prevent others from having the same issue. Ok where can I get these brackets? Front and rear and what rotors do i need to buy? Yes I used JYD brackets in the rears (Do you make those ones too?) I was one of the first guys to do the conversion, so yes everything was brand new. I was made aware of the possibility of the guide pins rubbing because another member (can't remember who now) posted up that his rubbed so much that it ruined the rotors and he needed to by new ones. That is what made me look at mine and discover one side was in fact rubbing (I did not do the install myself) and was fortune it enough to catch it before it was to late. Couple little shims and things were good. Here is what I found and my fix..
Has anyone ever though of trying the CTS-V calipers instead of the Z06 calipers? I'm not sure if they will work but I though they may be of interest and a bit more on the budget friendly side. Ahhhh ok. That explains a lot. The JYD brackets don't have any offset built into them and are designed to be used with a different rotor. Yes I'm selling rear bracket that I'm making as well as the front brackets. They are both designed to be used with Baer Eradispeed rotors and the rear brackets have an offset machined into them. I'm not a big fan of having to shim stuff unless absolutely necessary. I'm still surprised that the calipers could be installed with pads and rub the guide pins. Do you remember what pads you used? All the pads I've seen stick out farther than the guide pins even with the pistons pushed in all the way. I'll try and take some pics of what I mean.